Either parent may request and be granted primary custody of their child. Protect your child’s ability to have a loving relationship with both of their parents. Situations involving custody of a child can be legally complex and emotionally devastating. Please keep your child’s best interest in mind. Child custody and legal guardianship are legal terms which are used to describe the legal and practical relationship between a parent or guardian and a child in that person’s care, such as the right to make decisions on behalf of a child and the duty to care for and support the child. Residence and contact issues typically arise in proceedings involving divorce (dissolution of marriage), annulment, and other legal proceedings where children may be involved. In most jurisdictions, the issue of which parent the child will reside with is determined in accordance with the best interests of the child standard. Family law proceedings that involve issues of residence and contact often generate the most acrimonious disputes. While most parents cooperate when it comes to sharing their children and resort to mediation to settle a dispute, not all do. For those that engage in litigation, there seem to be few limits. Court filings quickly fill with mutual accusations by one parent against the other, including sexual, physical, and emotional abuse, brain-washing, parental alienation syndrome, sabotage, and manipulation. 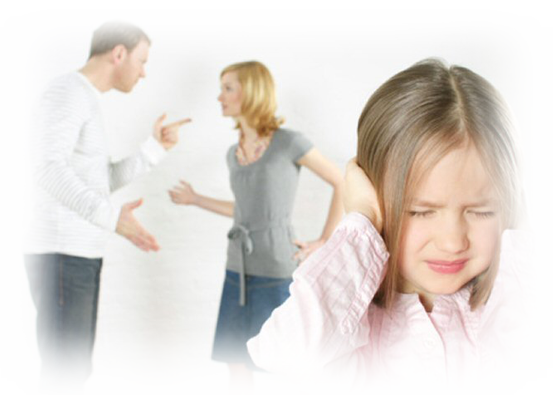 Custody battles are not in the child’s best interest and are often used by an angry parent in order to control his/her former partner. In some places, courts and legal professionals are beginning to use the term parenting schedule instead of custody and visitation. The new terminology eliminates the distinction between custodial and noncustodial parents and also attempts to build upon the best interests of the children by crafting schedules that meet the developmental needs of the children. For example, younger children need shorter, more frequent time with parents, whereas older children and teenagers may demand less frequent shifts yet longer blocks of time with each parent. Forum shopping to gain advantage occurs both between nations and where laws and practices differ between areas within a nation, The Hague Convention seeks to avoid this, also in the United States of America, the Uniform Child Custody Jurisdiction and Enforcement Act was adopted by all 50 states, family law courts were forced to defer jurisdiction to the home state. As the roles of children have changed over the past couple of centuries from economic assets to individuals, so has the role of mothers and fathers in who would provide the best care for the child. Many courts and judges lean more towards the maternal figure when there is a trial for custody of a child. According to Family Change and Time Allocation in American Families study done at UCLA, women allocate about 13.9 hours a week to childcare while men allocate about 7 hours a week. Additionally, according to the Current Population Survey, in 2013, custodial mothers were more likely to have child support agreements (52.3 percent) comparative to custodial fathers (31.4 percent). Women’s and father’s rights activists often become involved in matters of child custody since the issue of equal parenting is controversial, most of the time combining the interests of the child with those of the mothers or fathers. Women’s rights activists are concerned about “family violence, recognizing primary caregiving, and inequities associated with awarding legal joint custody without a corresponding responsibility for childcare involvement”. Father’s rights activists are more concerned about their “disenfranchisement from children’s lives, the importance of parent-child attachment, combating parental alienation, and access enforcement”. Courts cannot determine an individual child’s best interests with certainty, and judges are “forced to rely on their own interpretations of children’s interests, and idiosyncratic biases and subjective value-based judgments, including gender bias”. Judges are currently using the ‘best interest of the child’ standard that was made to consider the interests of the child before the mothers and fathers, including the child’s mental, emotional, physical, religious, and social needs. Child poverty, lack of resources, and women’s economic dependence on men all remain pressing issues that are not effectively noted during the custody trials. In any situation where child custody rights are at issue, a number of key questions are raised. If you are going through a divorce, you will want to know whether your child will live primarily with you, and if not, whether will you will be able to make important decisions as to how your child will be raised. If you are a close relative or family friend of a child who is not your own, you may be wondering if getting custody of that child is even a possibility. Out-of-court alternative dispute resolution proceedings like mediation or “collaborative law” (usually with the help of attorneys). When a child’s parents are unmarried, the statutes of most states require that the mother is awarded sole physical custody unless the father takes action to be awarded custody. An unwed father often cannot win custody over a mother who is a good parent, but he can take steps to secure some form of custody and visitation rights. For unmarried parents involved in a custody dispute, options for the custody decision are largely the same as those for divorcing couples — child custody and visitation will be resolved either through an agreement between the child’s parents or by a family court judge’s decision. But, unlike divorcing couples, unmarried parents will not need to resolve any potentially complicated (and contentious) divorce-related issues such as division of property and payment of spousal support, so the decision-making process is focused almost exclusively on child custody. For this reason, resolution of custody and visitation may be more simplified for unmarried parents. Especially when making child custody decisions involving unmarried parents, the family court’s primary consideration will be to identify the child’s “primary caretaker.” See Checklist: Who Gets Custody? for a list of factors that a court typically considers in determining “primary caretaker” of a child. If you are going through a child custody battle, you’ll want to know the laws and how decisions about your child will be made. You don’t have to be a legal expert to get this information. But a good way to learn about the child custody laws in your state is to have a family law attorney on your side. Get a free child custody case review today at no obligation to you.